Are hashtags effective when they’re featured in the real world? Out of these hashtags, only Wyoming Tourism‘s #foreverwest appears to be somewhat successful, although the top influencers using the hashtag seem to be other travel agencies in Wyoming. 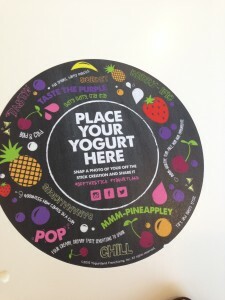 Yogurtland’s #offthestick campaign, while garnering some attention via Instagram, seems to be very passive. Are people actually paying attention to hashtags? How does this affect your business? If you know your business’s audience, you should know whether or not they will be responsive to hashtags in your marketing. If your business’s demographic does not even know what a hashtag is, then your hashtag campaign may very well flop. Before you decide to create a campaign with a trendy hashtag, do your research! Present a strong call-to-action. Many audience members no longer respond to a mere call-to-action of, “Take a picture with this and use our hashtag; you might be featured on our website.” Give a more concrete reason behind your hashtag: is it part of contest? A giveaway? Use a stronger call-to-action to elicit more responses. Just putting a hashtag out in the wild “for the heck of it” is not enough reason for your audience to play along. Keep your hashtag consistent across all your real-world marketing material. 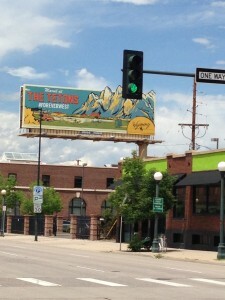 Don’t use the hashtag #foreverwest on your brochures and then #foreverwestwy on your billboards. Stay consistent or you’ll confuse your audience! Ask your social media following to use the hashtag, too! Don’t just leave it up to chance that people will use your hashtag if they see your billboard on the street; encourage your followers and fans to use the hashtag in their messaging as well. Maybe even create a contest/giveaway asking your followers to find your hashtag campaign in the real world and taking pictures of the campaign. Get social! Hi Helen. I’m Jonah from Hashtagify.me. Thanks for introducing us 🙂 It’s great to hear that you find our service useful!